Welcome to the beginning a new blog series, y’all!! The Creative Family Feature is a monthly blog series featuring women & men in the C@H family who are building community & education right where they are. Whether it’s through hosting their own educational experience, building a community-driven team or fostering education with their industry peers, they are doing exceptional things in small business and we want to cheer them on!! This month’s Creative Family Feature is about long time C@H educator Bonnie Bakhtiari, founder of Illume retreat. Bonnie has been an educator since our very first conference in 2015, and she and I joke about my crazy pitch email to get her on board way back when!! Bonnie is a brand designer & business strategist with her company – b is for bonnie design – and she has a huge heart for intentionality in our industry. In 2015 she opened the doors to her retreat, Illume, and I had the privilege of being a part of several of her past experiences. It’s pretty obvious that I love in-person education! 😉 And while there’s something special about what C@H has to offer in terms of our own annual conference; there’s also something powerful and life-giving in what Bonnie is doing at Illume! It’s intimate, restful, introspective, and filled with just the right kind of education – the heart kind. Sure, you’ll walk away with some business to-dos, but more than that, you’ll walk away with a better understanding of who you are & why you do what you do. You’ll leave after having intimate conversations with industry leaders, and having built friendships with peers that will last years to come. By now it should be pretty clear I love Bonnie and her Illume retreat! 😉 Keep reading to get to know Bonnie and find out more about how she founded Illume, how she overcame her fears when building this community, and what she’s most excited about for the 2019 experience!! 1. Bonnie, we’d love to hear about your heart for your education experience: Illume retreat! When did Illume begin? Why did you feel called to start the experience? I often joke that Illume is basically my heart spread out over the course of a three day, all-inclusive retreat! 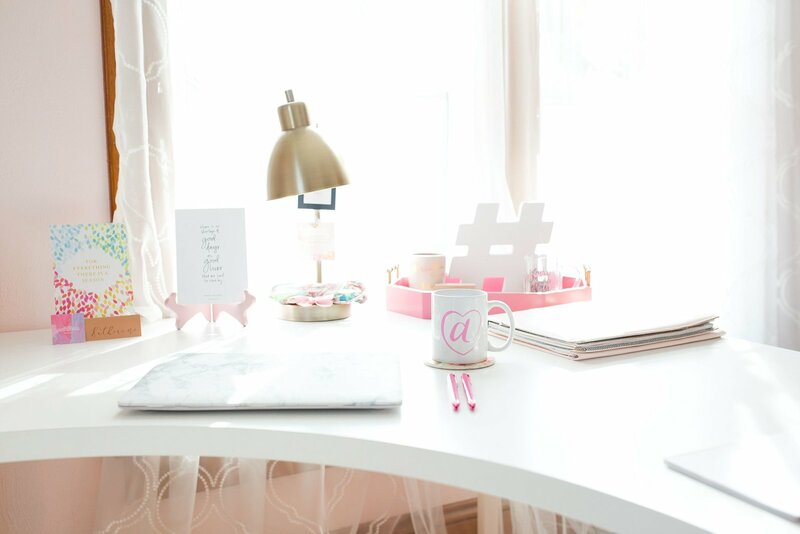 I dreamed up the Illume Retreat concept back in 2014 out of a desire to create a cozy, restful educational experience that taught women entrepreneurs how to pursue their definition of success, not what the creative industry defines as “success.” I celebrated hosting the very first Illume retreat back in October 2015. 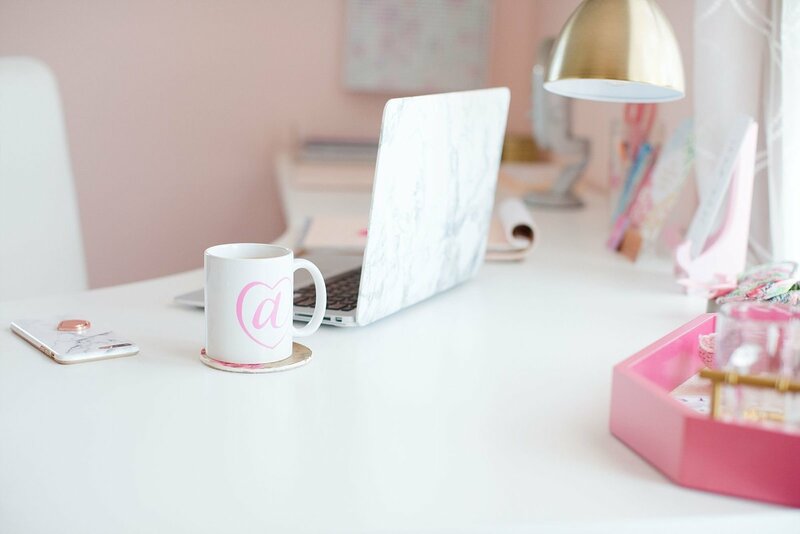 Illume was always destined to be a space where women could step away from the endless to-do lists and hustle of daily life, and step into a restful experience where they could dig deeper into what it means to create a business that operates from a clear place of purpose. It’s a truly special experience, one that still fills my heart with all the feels to this day! 2. When you first launched Illume retreat, did you have any fears? If so, what were they & how did you overcome them? Oh my goodness, so many fears! I wrestled with imposter syndrome big time. I had only launched b is for bonnie design in 2012, so by the time I was dreaming up Illume I was still a “younger” entrepreneur. I was fearful that people would pass over the experience altogether because I wasn’t a big name in the industry. But I realized that this dream wasn’t going to come to life unless I took action. I chose to put one foot in front of the other, even in the face of imposter syndrome, and I announced registration for my very first retreat. And as my first attendees started signing up, I knew that the imposter syndrome was really just a lie all along. 3. Why do you think in-person educational experiences are life-changing & business-propelling? In a sea of online education, why do you think creative small business owners should invest in in-person experiences? There’s something special about sitting across the table from industry leaders you’ve followed for years or new friends who are in similar seasons of life and business as you! There’s an opportunity for real life community that’s impossible to replicate through even the best of online courses or programs. In-person retreats and conferences give us the space to be seen by others, poured into when we need it most, and built up in ways that directly apply to our lives. When you show up for an in-person educational experience, you’re giving yourself the gift of community and practical education that can be tailored to your unique journey. 4. 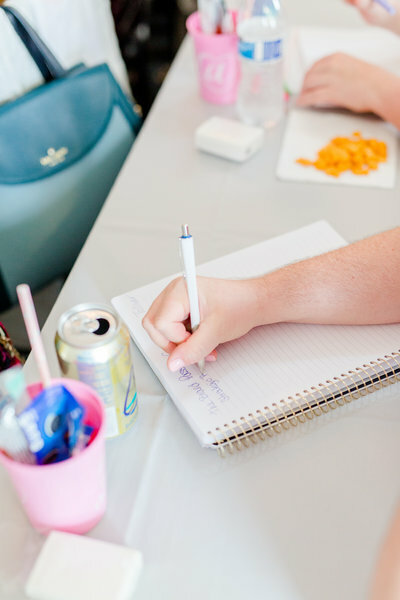 What or who would you say inspires you to continue planning & hosting Illume retreat? It’s hands-down the community component! Seeing women from all over the world walk into my home studio on Day One as nervous strangers and then shed bittersweet tears on our final day as we exchange goodbyes will always be etched on my heart. More than that, I’ve seen the Illume Retreat approach serve as a powerful catalyst that continues to propel my alums onto their definitions of success. From some, that’s been 6-figure course launches or speaking at sold out conferences. To others, that’s been scaling back in the work hours each week to be more present with their little ones. 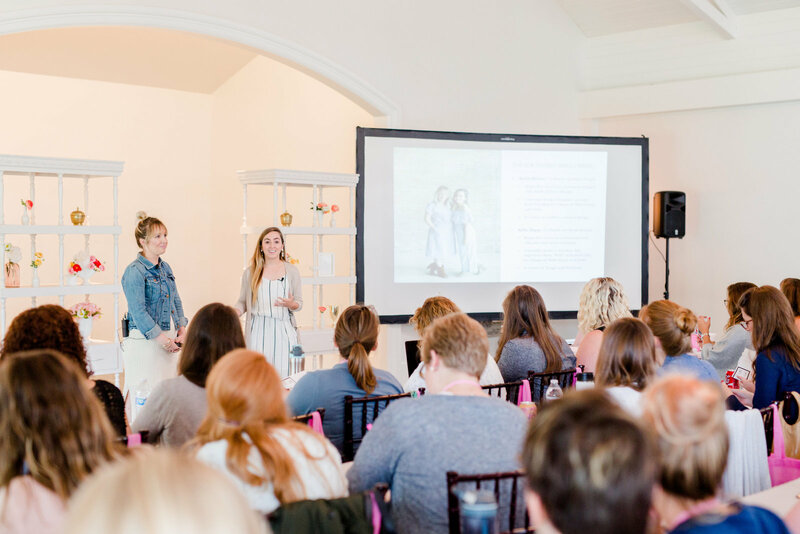 Whatever their goals, the Illume Retreat can be a space to bring those goals to life through encouragement and actionable strategy. And that’s something I always want to be able to bring into the world. 5. 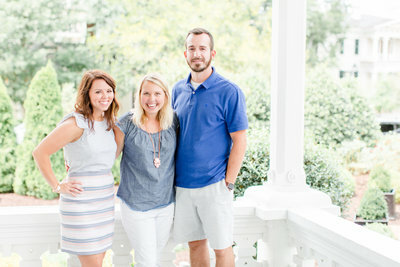 You and your husband have recently been through some incredibly hard seasons. 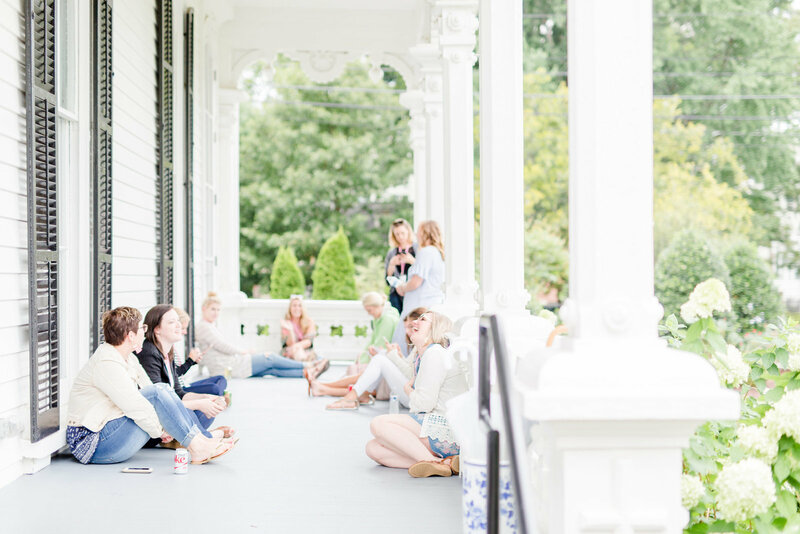 Would you mind sharing some of that & sharing with our family a few practical ways you’ve been able to continue building your brand (and announcing Illume retreat 2019!) in light of these hard seasons? To say that 2019 started off with a bit of a bang would be an understatement! In mid-January, my husband experienced a tonic clonic seizure (fancy medical speak for a full body, total-loss-of-consciousness seizure). After rushing him to the ER, we discovered a large mass on his brain that was causing significant swelling, as was the cause of this first-time seizure. He underwent emergency brain surgery less than five days later, and I’m grateful to share that things went better than we ever could have imagined. His entire tumor was removed, the biopsy came back benign, and he’s recovering without complications! The journey to discover our new normal after this experience has included a lot of grace, choosing to leave some things unfinished, and dramatically prioritizing. In order to be present with my husband during his recovery, I scaled back on my available office hours, pushed back project timelines, and turned down many opportunities I usually would have loved to dive into! But it was so worth it. I’m lucky to have a small, mighty team helping me manage both of my businesses, so I delegated more, too. 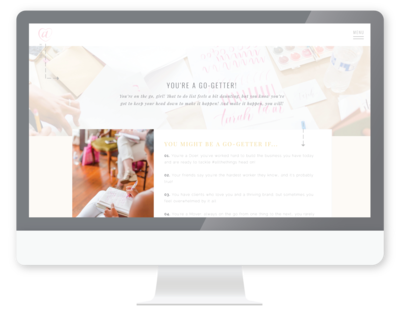 When it came to launching the Illume Retreat registration, I focused on scaling back our marketing efforts to speak clearly and directly to our ideal attendees through email marketing or a few social media posts. I chose to be content with smaller, simpler efforts rather than elaborate launches. And that decision to shift my priorities truly helped me keep my businesses moving forward while giving the bulk of my energy to what mattered most! 6. We’d love to hear a favorite memory or moment from a past Illume experience! And, what are you most looking forward to about your 2019 experience? Oh, there are so many favorites to choose from! But there’s a transformation that happens to creatives who walk into the Illume experience on Day One, feeling unsure of where they belong in the entrepreneurial community and feeling a little bit intimidated to boot. As they open themselves up to the curriculum, as they dive deep into building relationships with fellow attendees and educators, you can start to see the light bulb moments taking place. They’re going from feeling uncertain of where they fit into this industry to seeing clearly and confidently that cozy little niche that was made just for them! Where they walked in feeling unsure, they are able to walk out feeling confident, filled with clarity, and bursting with excitement for what’s to come. And I love that more than anything! 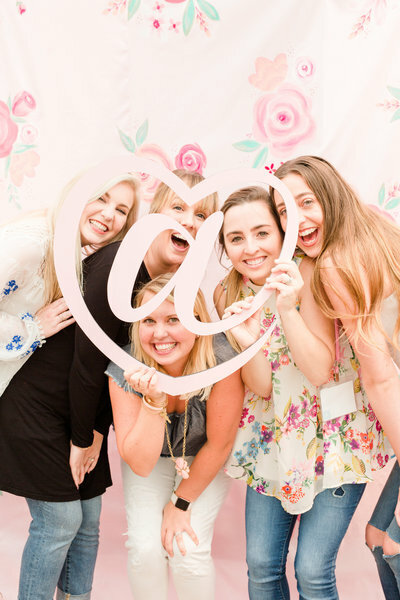 This October, I’m most looking forward to welcoming a new group of talented, big-dreaming women from all over to Waco, and I already can’t wait to see what types of light bulb moments they’ll experience, too.